The low-cost “iPhone 5C” hasn’t been announced yet, but it already feels like we’re pretty familiar with it — mostly because we’ve seen so many pictures of its plastic rear shell. But most of those — the high quality ones, at least — have included the white model. 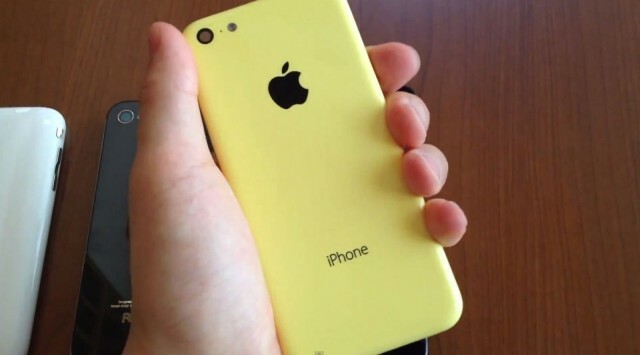 A new hands-on video that has surfaced today shows off the yellow model in all its glory. The video comes from Sonny Dickson, who has been behind a lot of the iPhone 5C shell leaks we’ve seen in recent weeks. It gives us a great idea of what the yellow model will look like when it finally arrives, and how it compares to the iPhone 5 and the iPhone 5S. Like the other shell leaks, the yellow model is fitted with a metal chassis that will hold the iPhone 5C’s components in place, and all of its holes — including those for the SIM tray and the volume buttons — have been drilled out. In addition to the white and yellow models, the iPhone 5C is also expected to come in blue, green, and red, according to the other leaks we’ve seen. It’s likely to have a lot of the iPhone 5’s internals — including the same 4-inch Retina display — but the lack of aluminum and other features should make it a lot cheaper. Apple is expected to announce the iPhone 5C alongside the iPhone 5S at an event rumored for September 10.